Checking to see if the wreath is finished. Court Yard full of greens ready to be made into wreaths. 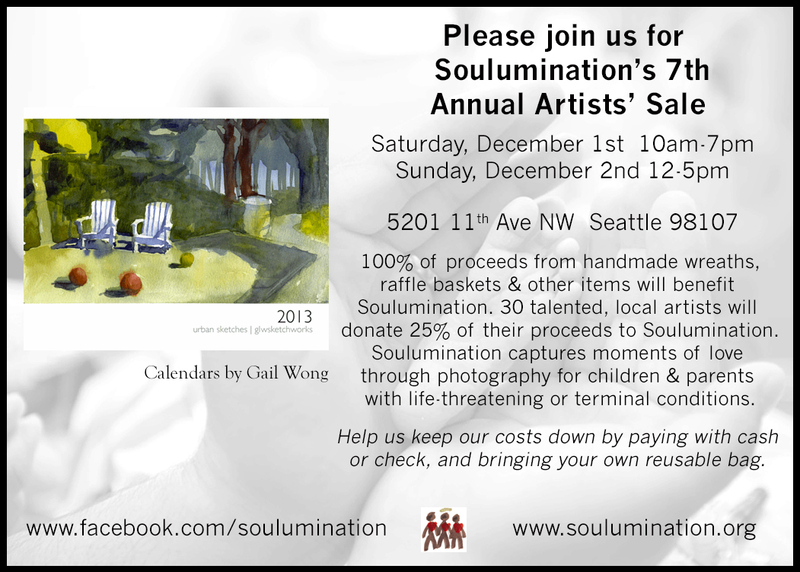 Soulumination depends on volunteers to make wreaths that will be on sale at the Artist Sale on Saturday and Sunday. Each of them individually designed and made by the volunteers. I went down today to see the process and sketch the happening. Great Sale come if you can!